This project came out of our recent Arts Action Academy at the Queens Museum. It was conceived of and completed in 24 hours. 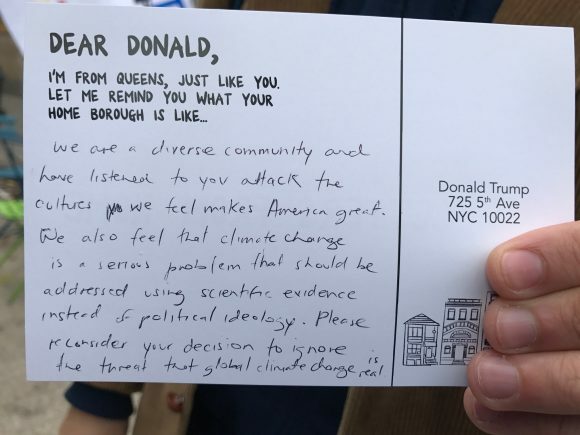 Residents of Queens are sending Donald Trump postcards to remind him of the home he seems to have forgotten. 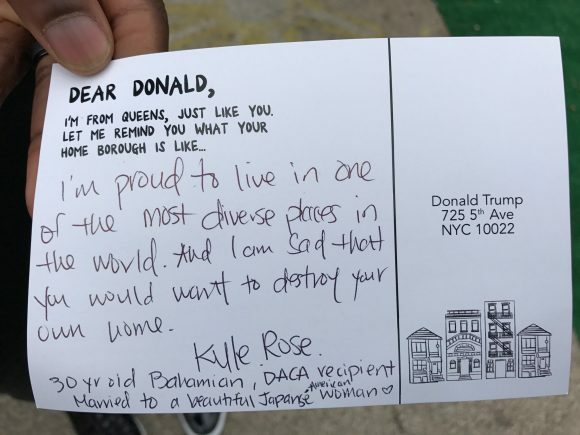 Donald Trump grew up in Queens, the most diverse neighborhood in the world. Today, Queens is a sanctuary for everyone. Populated by 2.3 million residents, 48 percent of Queens residents are foreign-born. Over 138 languages spoken here every day in this densely populated and vibrant community. 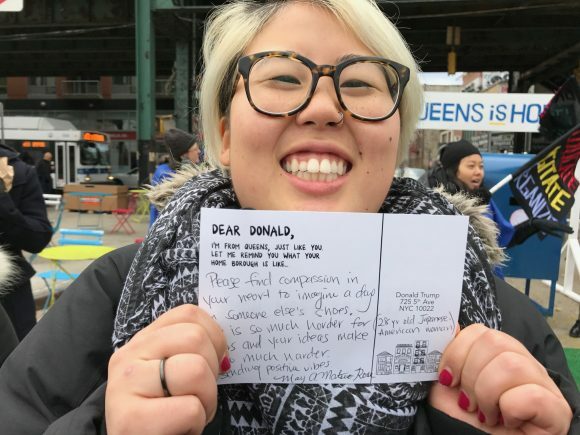 On Sunday, members of that community were invited to write to Donald Trump and remind him of the great things about his hometown.